Every dog isn’t a growler, and every growler isn’t a dog. Tally was what we described as a grumpy old bat – but in the most loving way possible. 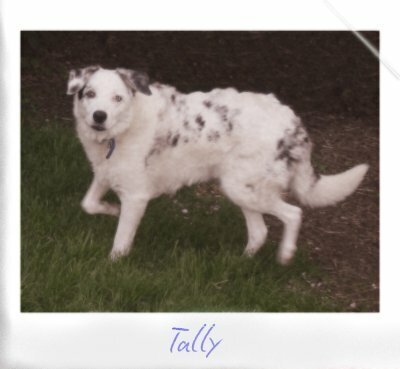 Tally came to us because she’d become very protective of her mum. After losing her husband, Tally’s mum was finding it more and more difficult to handle Tally. Tally had taken on the responsibility of looking after her mum, and the cat that loved with them. If Tally’s mum went up ladders to put up decorations, Tally would get very stressed, worried something would happen. The situation came to a head Tally’s mum fell in the street, and couldn’t get back up – but no one could help her because Tally was protecting her from everyone. It was a heartbreaking decision for her mum to let Tally leave the family to come to us. She was 9 years old, and had been with them since a pup. When Tally arrived with us, we also wondered whether it was the right decision. Tally did not trust us – and spent two days laying under the car. On the day she decided to come into the house, she pinned me up against the kitchen wall with her teeth bared. One wrong move, and there would have been a serious injury.